Urinary system. 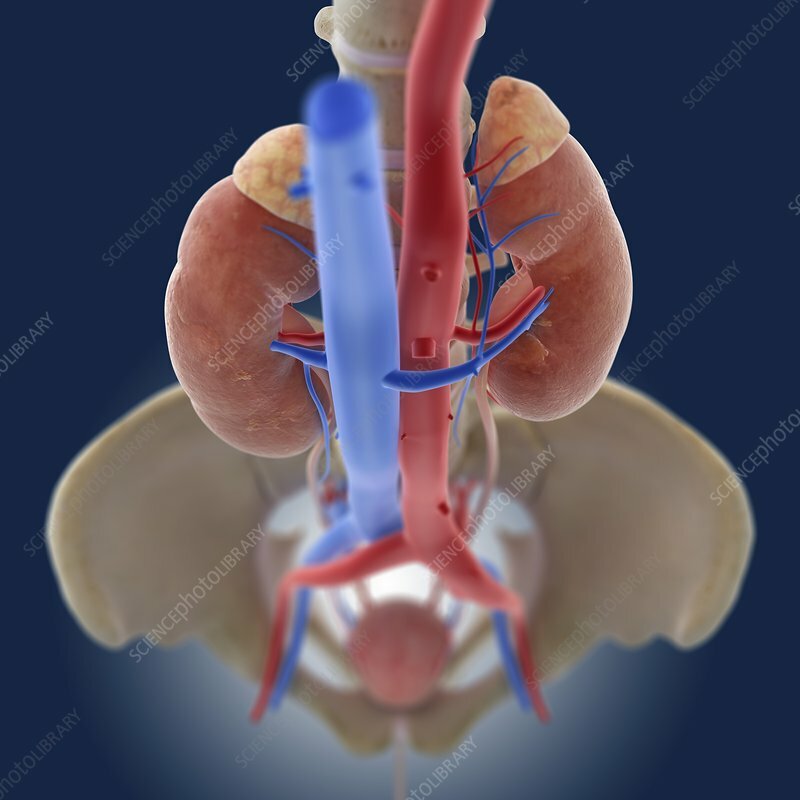 Computer artwork of the abdomen showing the urinary system. The two kidneys are at upper centre. On top of each kidney is an adrenal gland, which secretes stress hormones. The kidneys filter waste products from the blood. The waste products are transported as urine to the bladder (round, bottom) via the ureters (pink tubes). Urine is stored in the bladder until it exits the body via the urethra (bottom centre). Also seen are the aorta (red, down centre), the body's main artery and the vena cava (blue, down centre), the body's main vein. At bottom are the bones of the pelvis.